We had this librarian at school [no names – I don’t want to hurt any feelings] who was so old she seemed mummified. I developed a theory that each summer break she kidnapped two students and cocooned herself in a corner to steal their life essence. 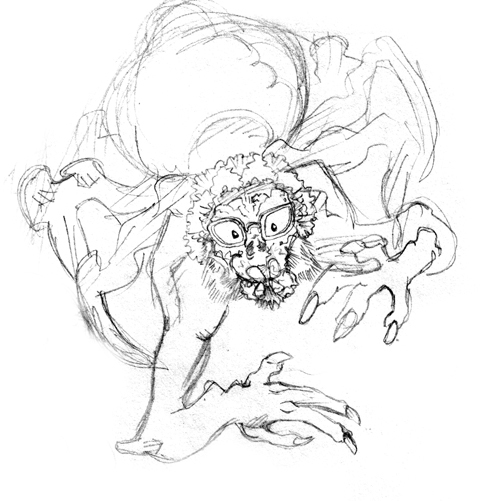 The above is one of several versions of her “true form,” which one might encounter entering the library during those summer months.